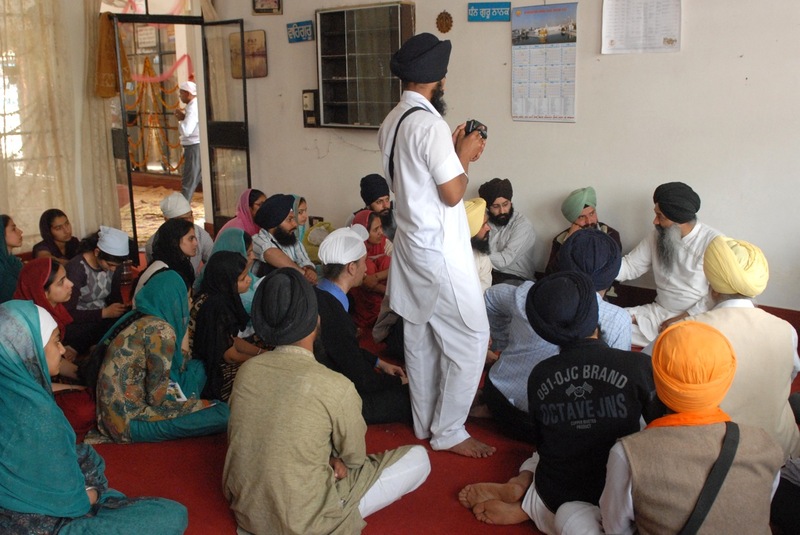 The day began with a visit to Sri Guru Ram Das Simran Kendra at Hamlet Khiraanwali, Kapurthala, Punjab. 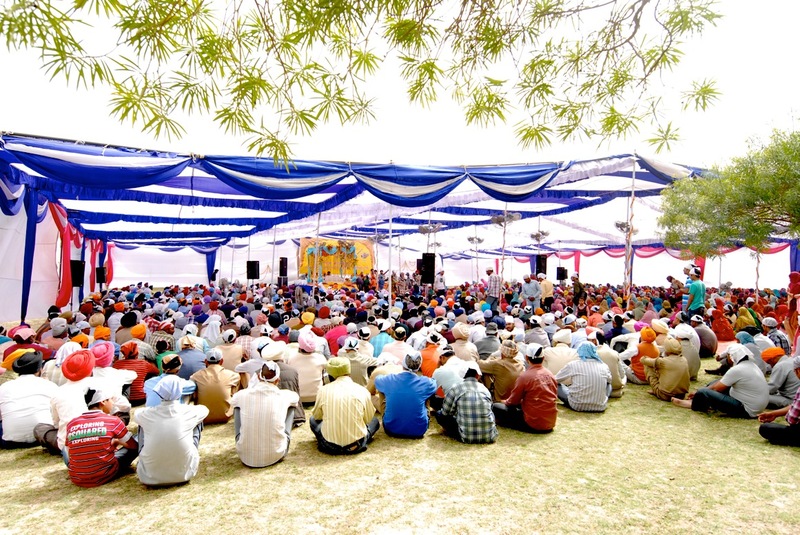 From Sultanpur Lodhi it is about 28 kilometers away – one has to take the road via Talwandi Choudrian and skip the left turn towards Goindwal Saheb. 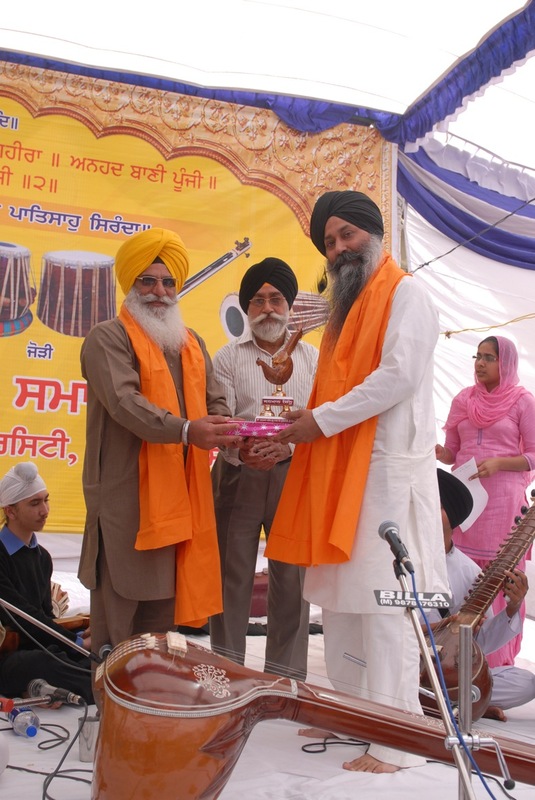 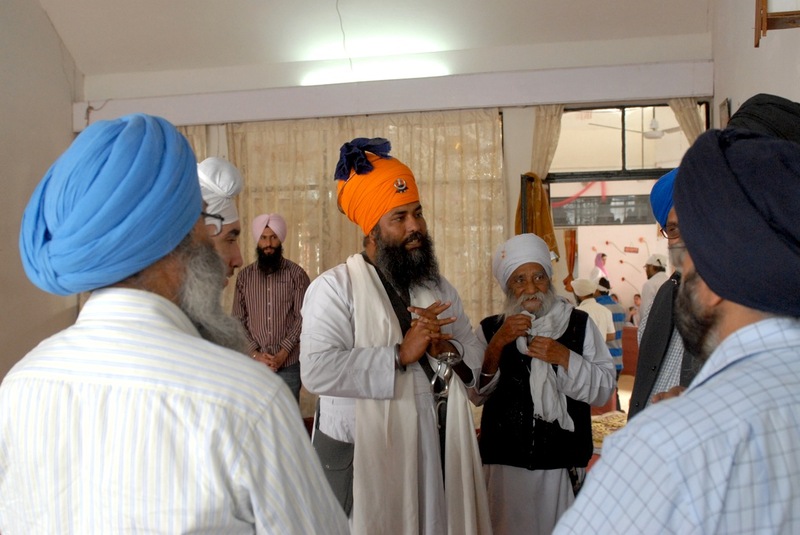 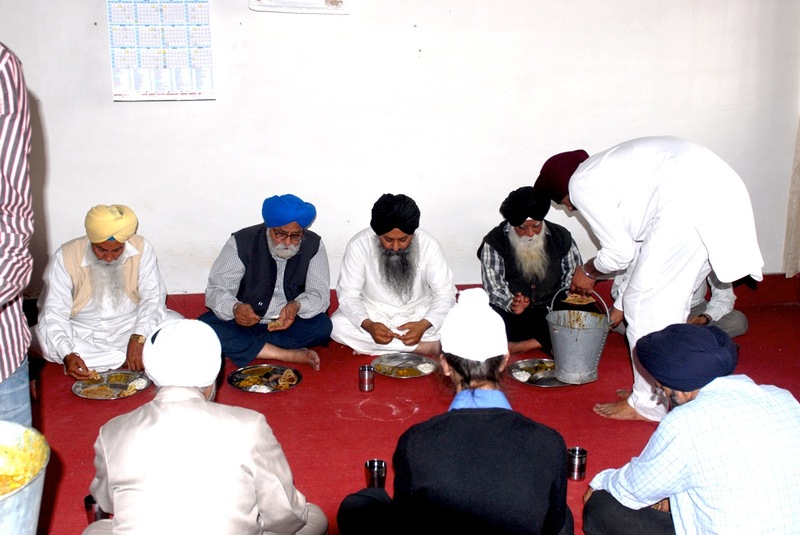 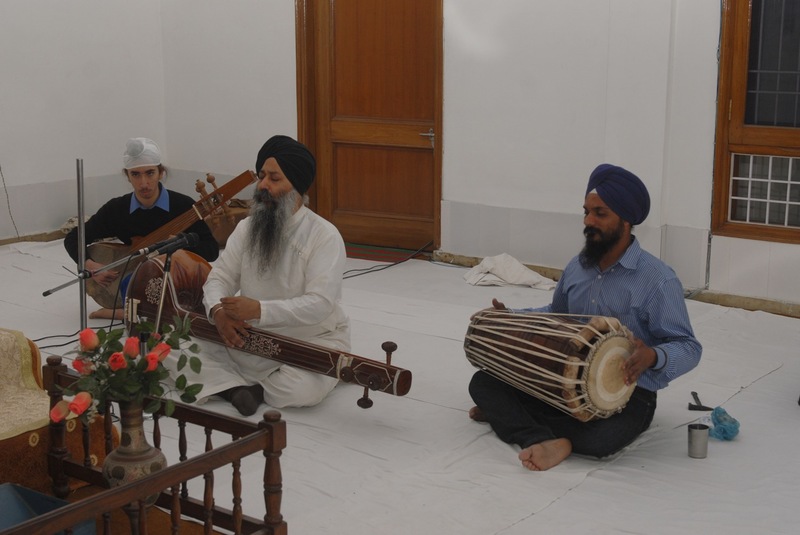 The Simran Kendra was started by Sardar Hardial Singh IAS (Retd. 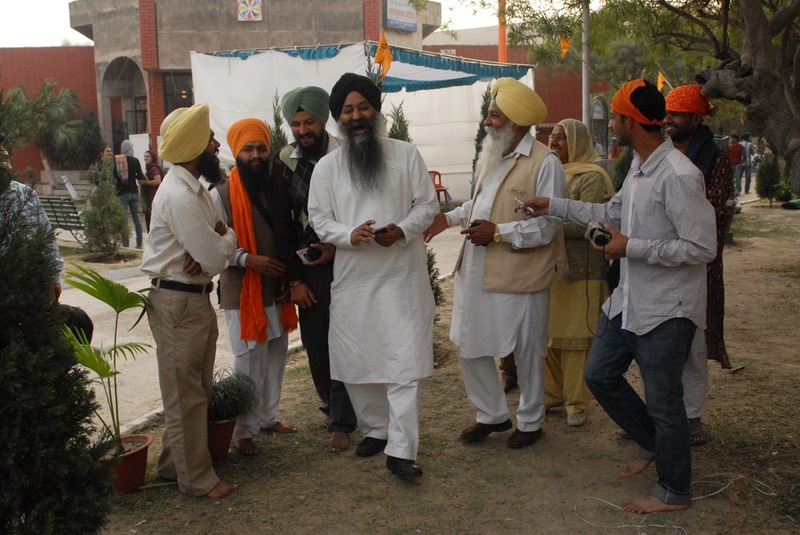 ), my uncle (a chacha–ji), years ago and is a beautiful place to be – sprawling wheat-pregnant fields. 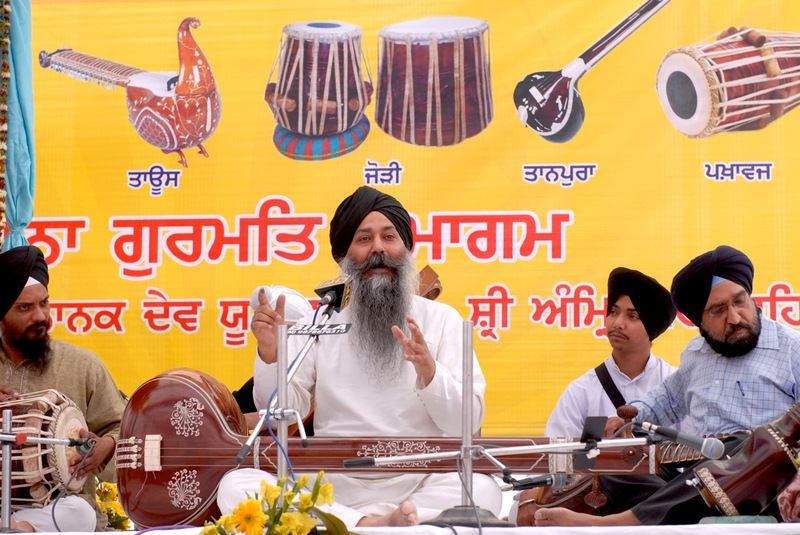 I sang raga bilawal as both Singhs, Parminder Bhamra and Luigi Hari Tehel, played well – actually, Parminder was really good. 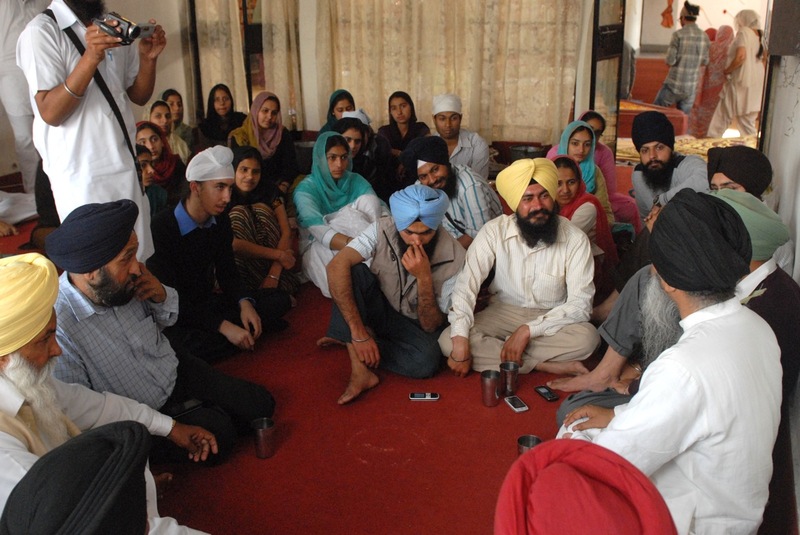 Then we drove to Amritsar via Dhilwan, a road I took for the first time. 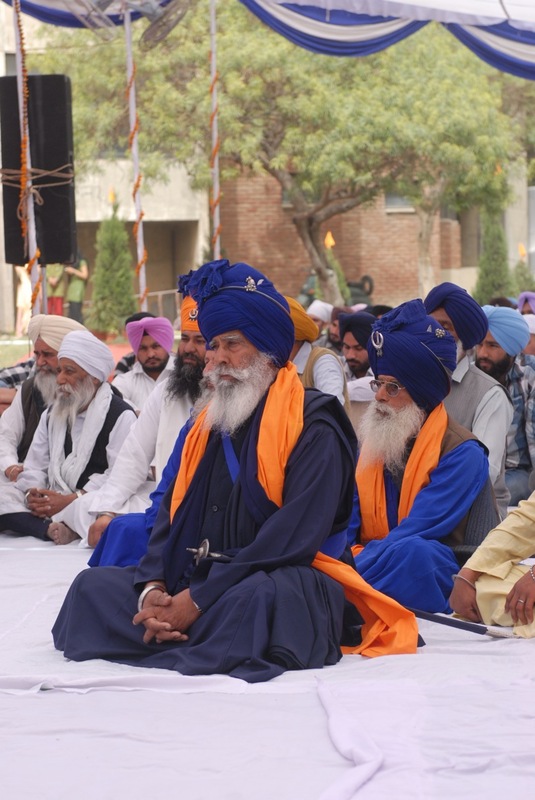 I was already tired and sleepy upon reaching the parking-lot near the Gurudwara inside the Guru Nanak Dev Univ. 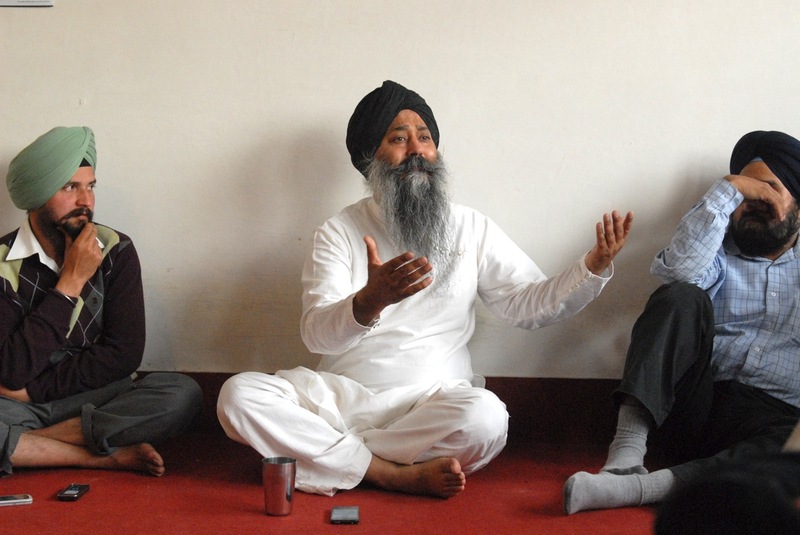 I did try to take a nap but this darned phone and its calls – all mundane! 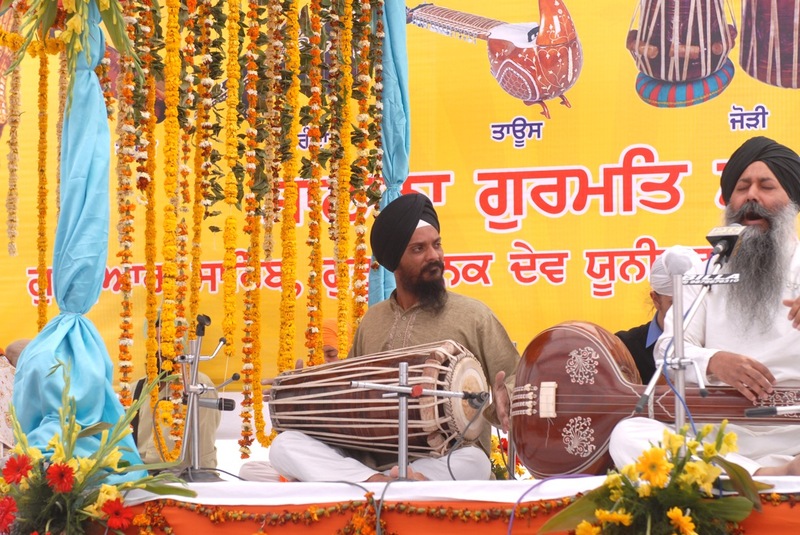 The programme was running late as the fake instruments displayed by the Jawaddi Kalan people were already freaking me up. 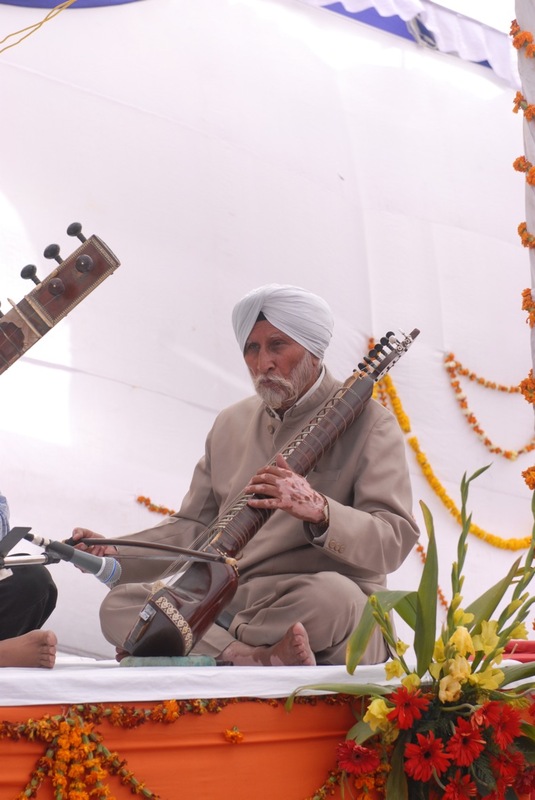 A displayed sarod-like instrument created only recently had the plaque claiming (in Punjabi) – Rabab Patshahi 1 – a bloody lie! 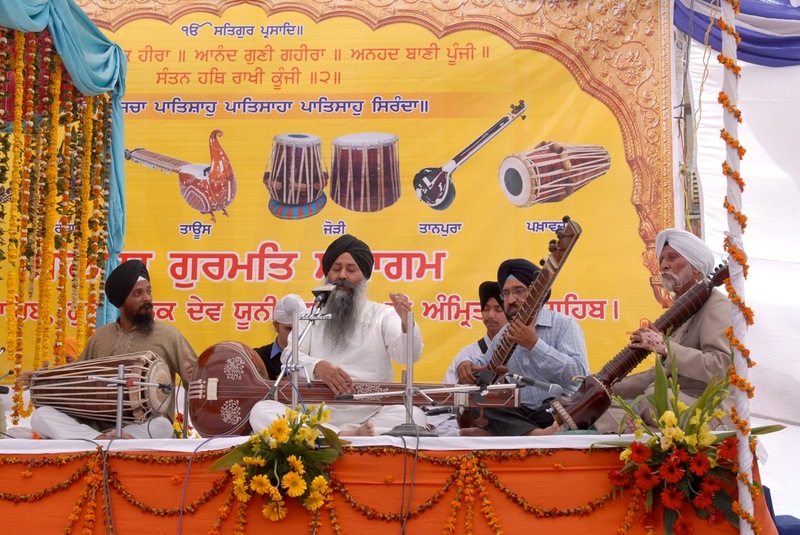 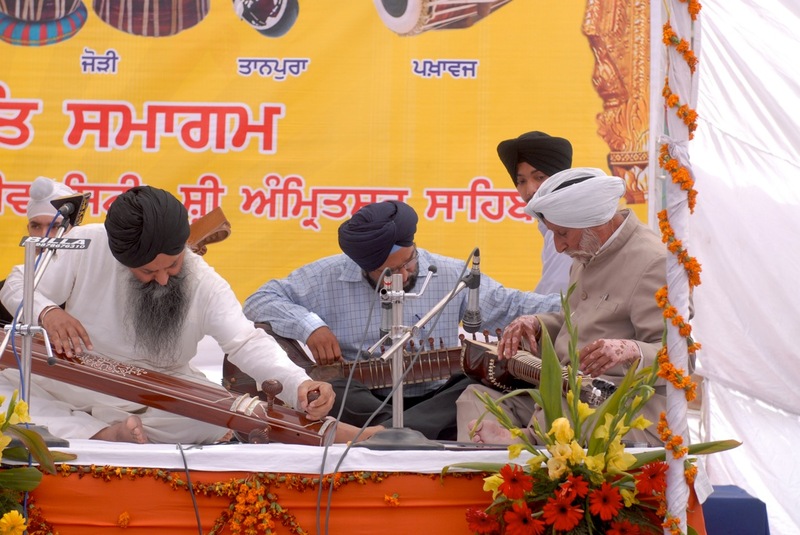 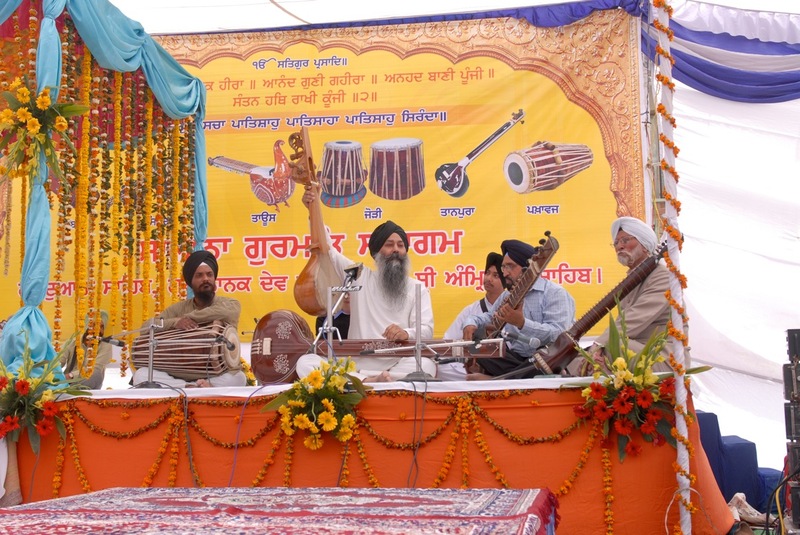 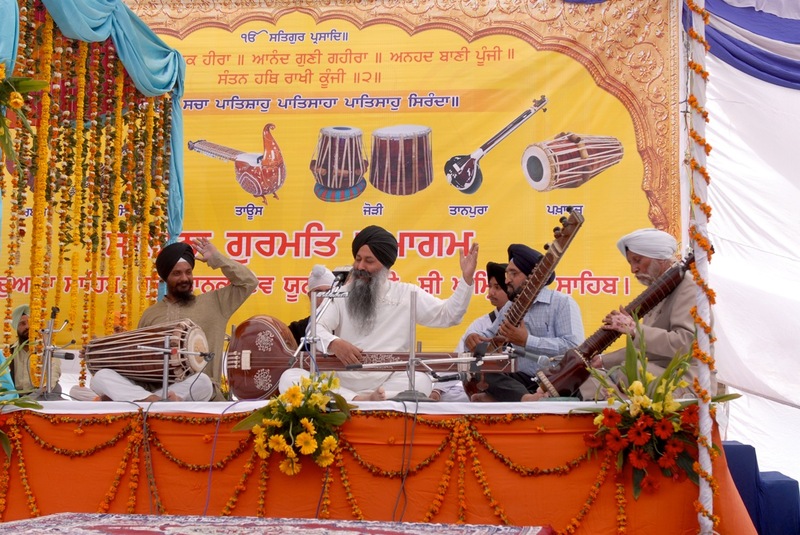 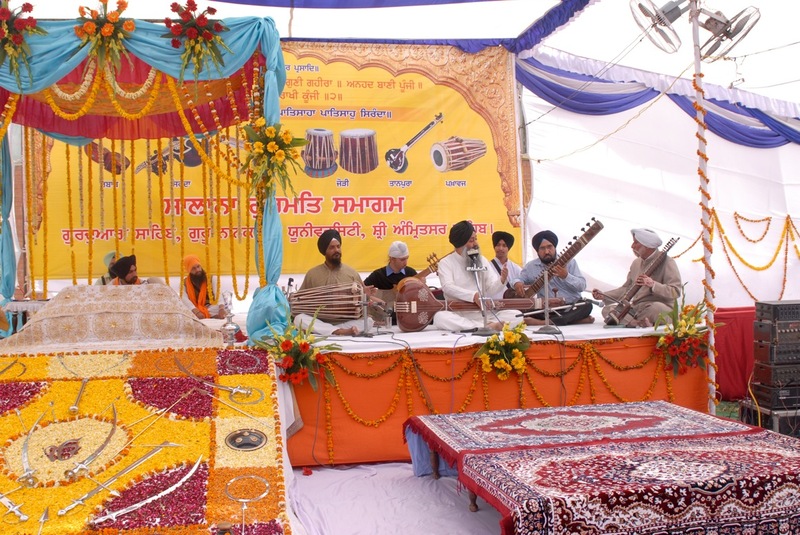 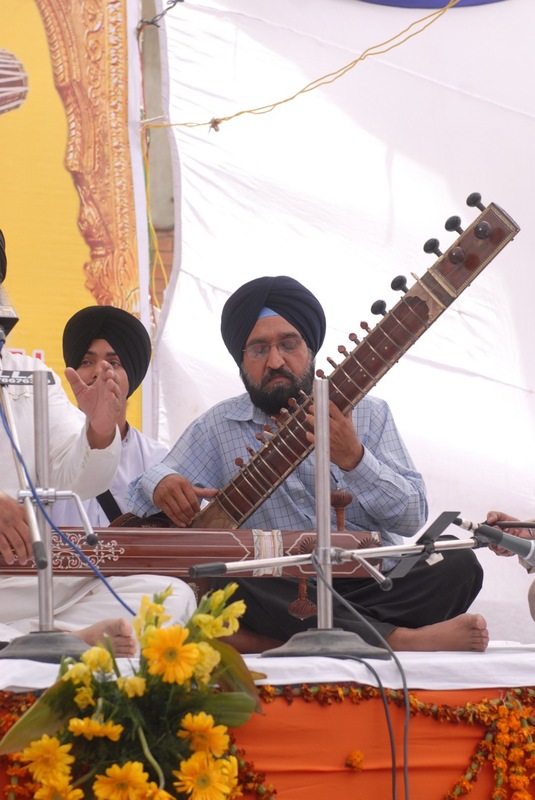 An instrument which has no history – being associated with Guru Nanak? 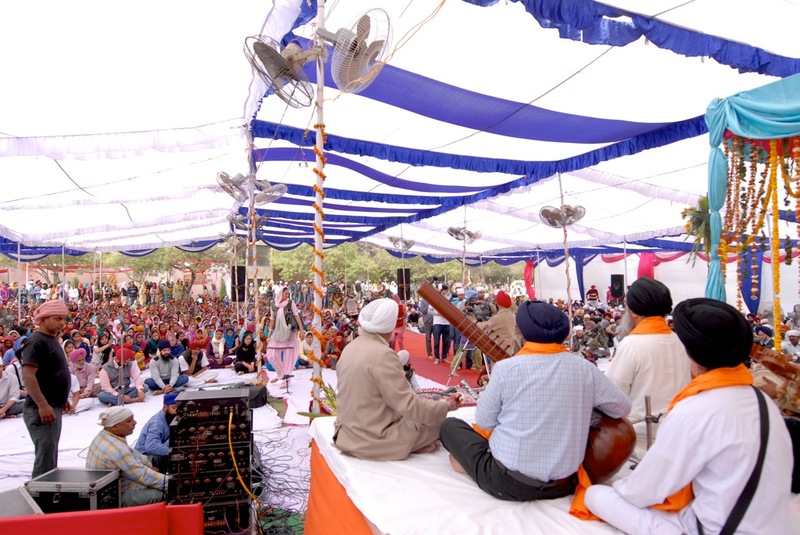 Shame..! 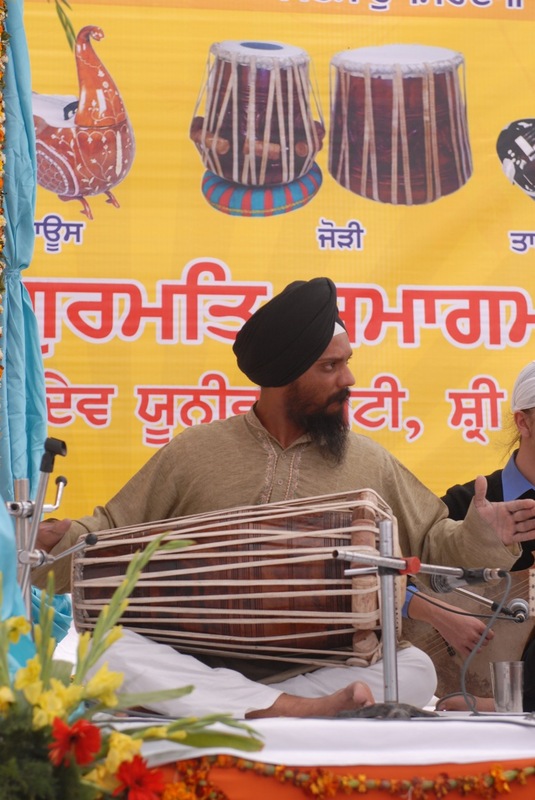 Nevertheless, my singing wasn’t too bad. 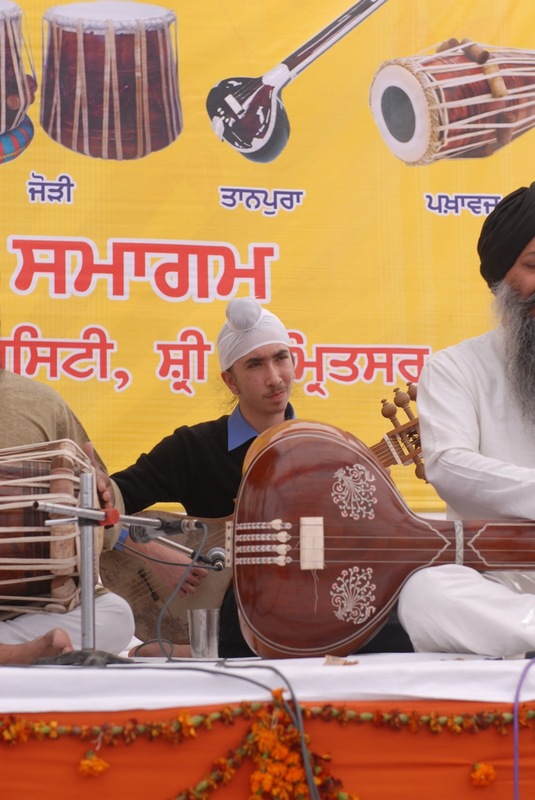 Sardar Piara Singh Padam played the dilruba, the wonderful Professor Dalbir Singh played the sitar (it has been wonderful reconnecting with him after many years 🙂 and Luigi Hari Tehel played along on his dhrupadi rabab. 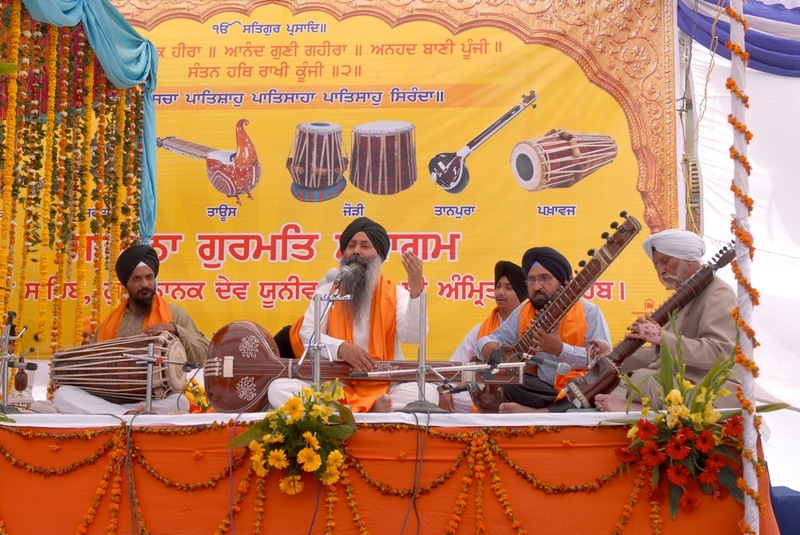 Parminder was very impressive on the pakhawaj. 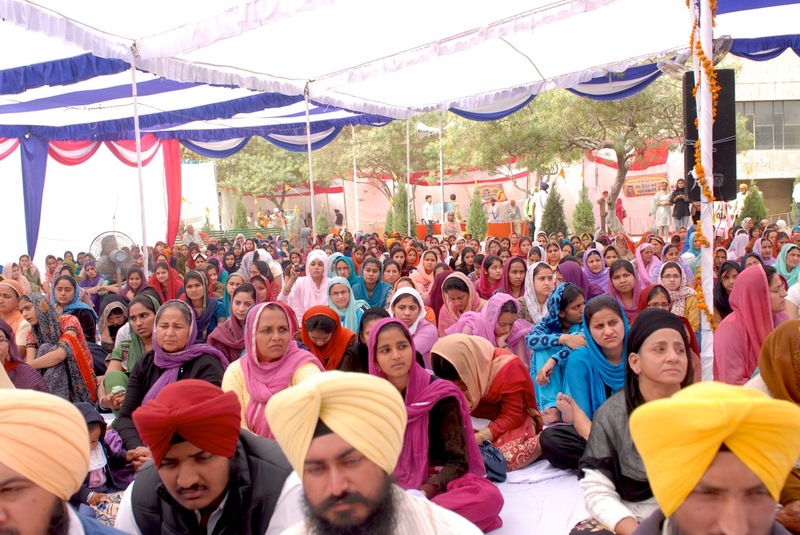 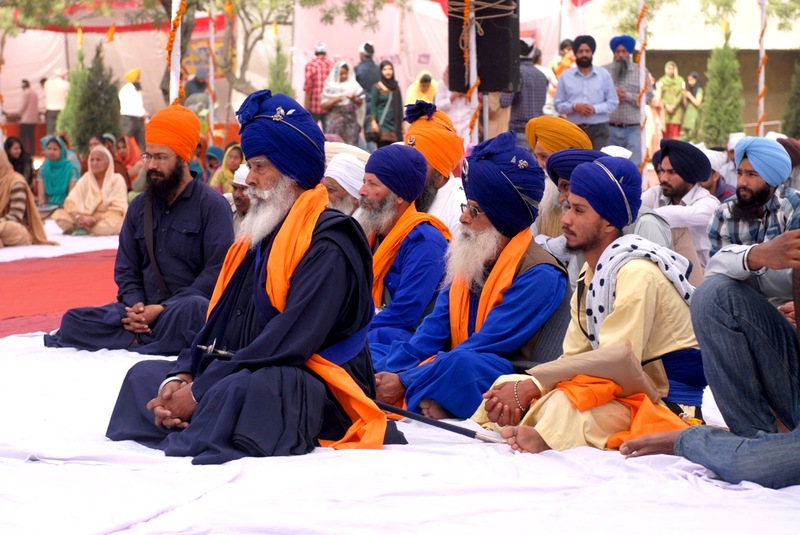 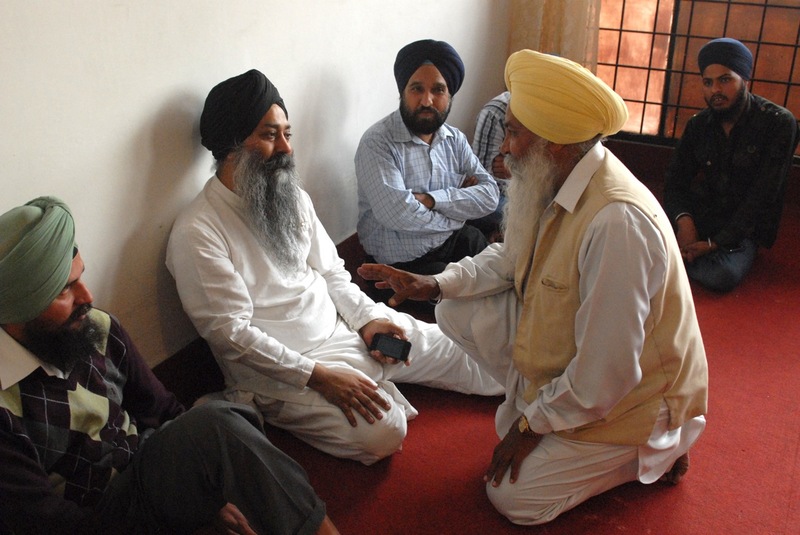 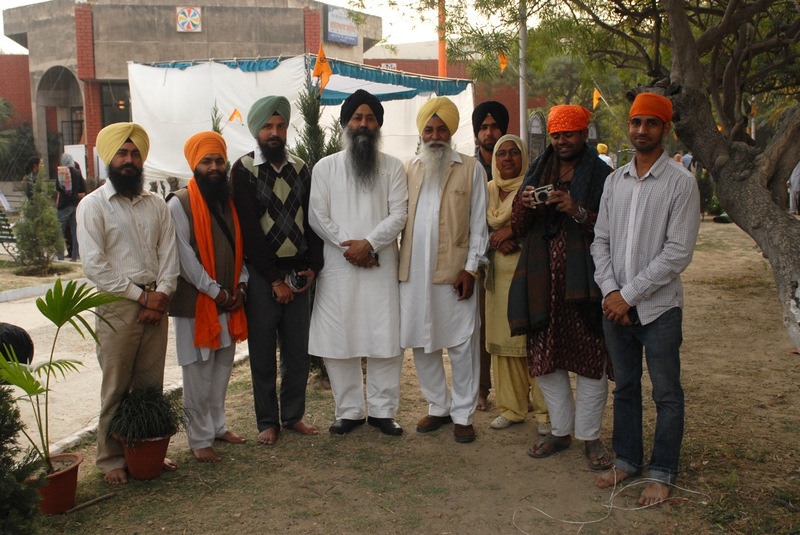 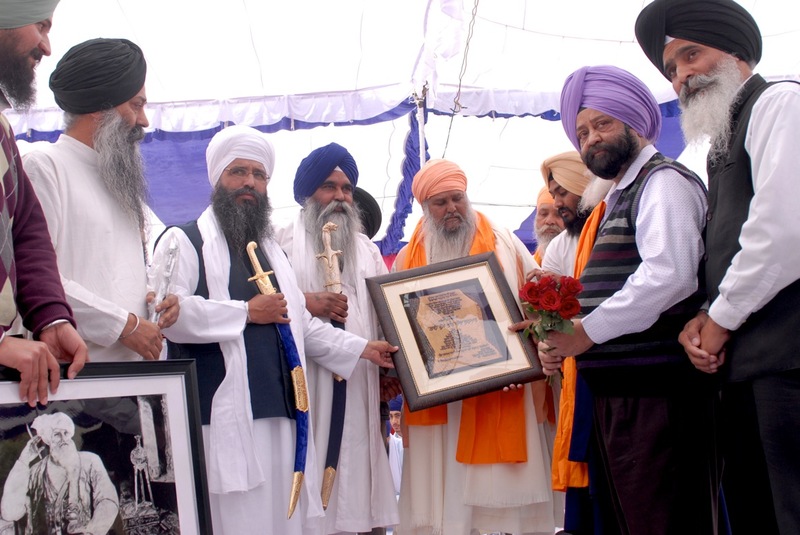 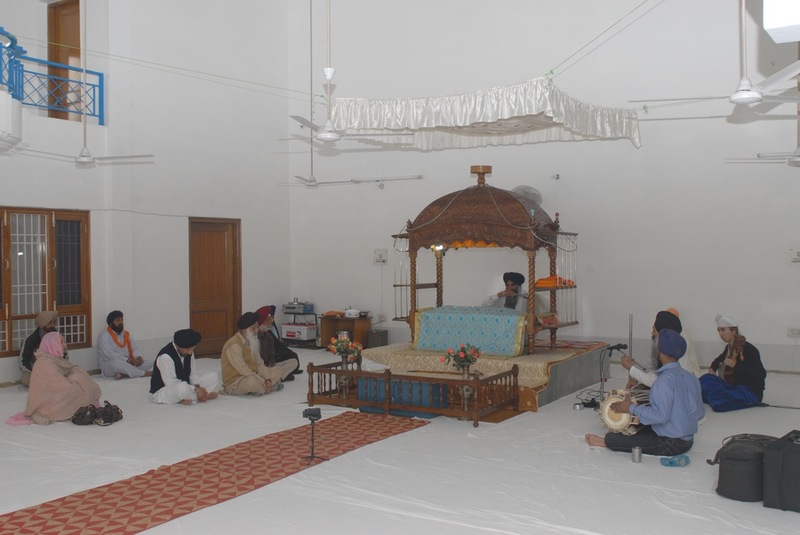 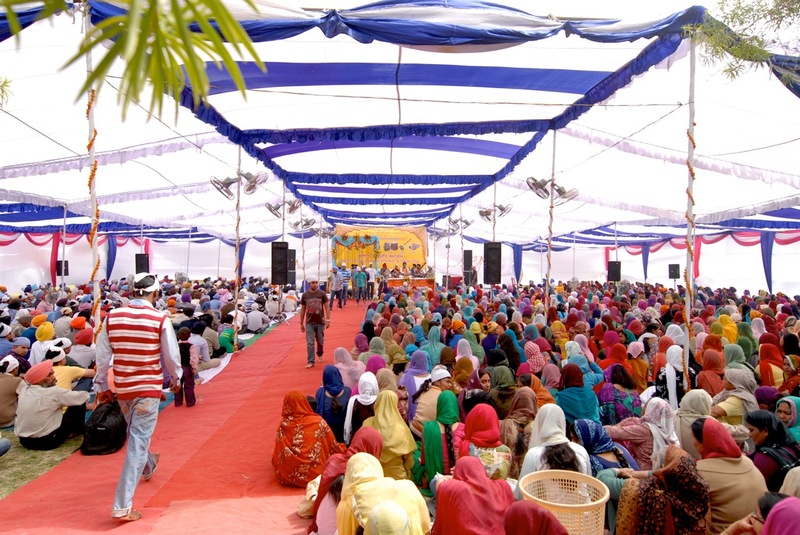 The presence of Baba Nihal Singh of Harianbellan was very dignified – what a soul! 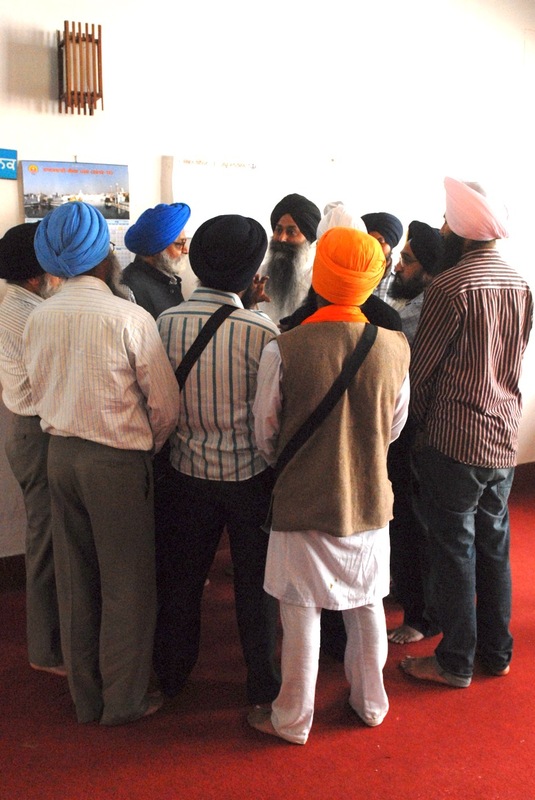 It wasn’t an easy escape for me from there – there was a wonderful interactive session – almost a lec-dem in the Gurudwara. 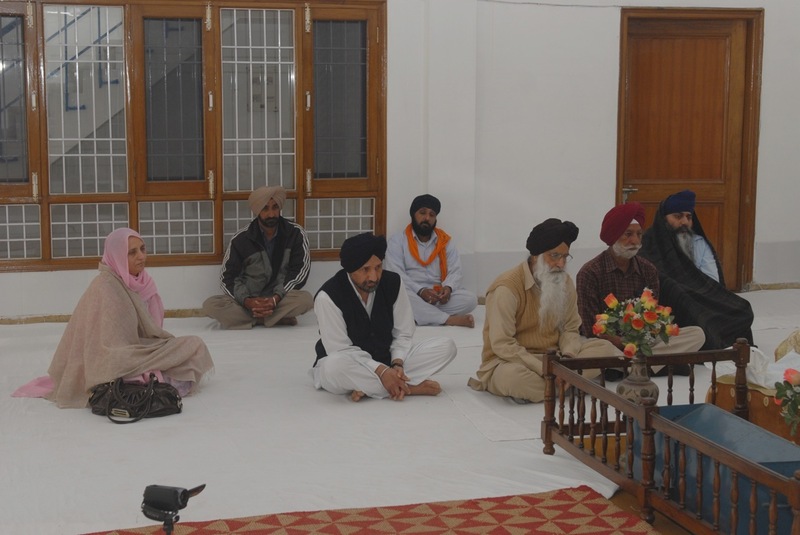 Then towards the end, the meeting with Professor Nirmal Singh Randhawa, a direct descendent of Baba Budha was nostalgia filled – wonder that our ancestors had served and studied from the great gurus at the same time – Gur-Vaho!